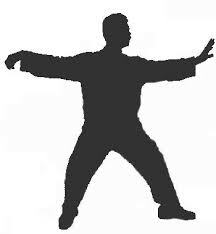 When looking for a Tai Chi class to attend a quick search online will return a whole host of clubs offering classes, quite often all of them are a different style of Tai Chi. So what are the main styles and how are they different? Yang, Chen and Wu styles are the most common you’ll find, particularly Yang. These are family styles, which have been passed down from generation to generation usually via word of mouth. The Chinese government have also been instrumental in their progression in the last century, working to standardise Yang style Tai Chi. Yang style has larger flowing movements than the other main styles and has a very internal focus, it’s certainly the most accessible and you can usually find a Yang style club in most towns and cities these days, there are more DVDs and information online about this style. Chen style features more explosive movements, these alternate with slower parts of the form. It is probably more physically demanding than Yang style. It’s the second most popular style practiced in the world and local classes are usually available. The third on the list, Wu style, is rarer then Yang or Chen and it features smaller, more compact movements. It doesn’t look as though much is happening to the untrained eye but the small, subtle movements are designed to increase the energy and vitality of the practitioner. What do you teach at WCA? Here at WCA we teach a rare White Crane Tai Chi form called Suang Yang Bai Her Rou Ruan Chuan (Frost and Sun White Crane Gentle Art). Different to the three main styles listed above, it is a temple style rather than a family style. You’ll find it features flowing movements like Yang style Tai Chi, some faster movements as in Chen style as well as some smaller more subtle movements as seen in Wu style. White Crane is based on the movements of a White Crane bird: precise, elegant and flowing yet stable and with a subtle strength. 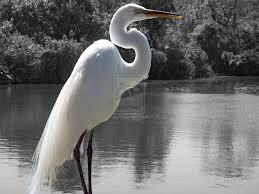 The White Crane bird is a symbol of longevity and good health – and this is certainly promoted in the classes you’ll attend. Many instructors claim their style is the best style. Personally I think students should learn about the different styles and go with what they feel is right for them. The basic principles behind Tai Chi are the same no matter which style you go for, so with regular practice you will feel the benefits. There are plenty of chances to try a class out at WCA to see if it’s for you. We have sessions in East Preston (including a course especially for beginners starting soon) as well as two classes per week in Haywards Heath and opportunities to learn online via Skype wherever you are in the world. Next Next post: Why bother with traditional Chinese weapons training?